In today’s world, industries are using predictive maintenance tools to increase efficiency, reduce down time, and provide a safer work environment. 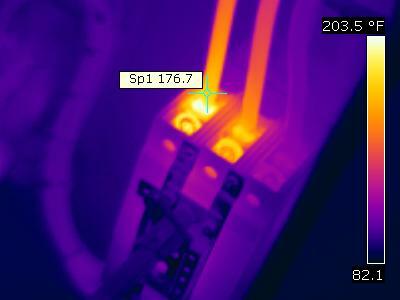 Infrared electrical inspections are an important part of the process. Infrared scans of an electrical system show thermal hot spots due to loose connections, unbalanced loads, overloads, weak fuses, motor issues, harmonics problems among the types of adverse situations to be found. We recommend a yearly inspection in most industrial facilities, sometimes more frequently depending on the critical nature of the electrical system. Infrared Technologies inspectors are experienced and certified thermographers with an excellent track record with our existing customers. We conform to all safety procedures and PPE requirements of each facility. For a no cost evaluation, we will come to your facility, walk the floor, explain our procedures, and in most cases, provide a price on the spot. Give us a call or contact us and we would be glad to schedule a visit.